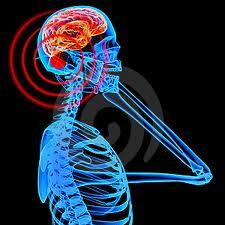 No extraordinary effects from microwave and mobile phone heating ~ Health Matters Today! The effect of microwave heating and cell phone radiation on sample material is no different than a temperature increase, according to scientists from the Department of Chemistry and Biochemistry, Arizona State University, in Tempe, as published in a recent issue of EPJ B?. Abidah Khalife, Ullas Pathak and Ranko Richert attempted for the first time to systematically quantify the difference between microwave-induced heating and conventional heating using a hotplate or an oil-bath, with thin liquid glycerol samples. The authors measured molecular mobility and reactivity changes induced by electric fields in these samples, which can be gauged by what is known as configurational temperature. By conducting experiments at varying field frequencies and sample thicknesses, they realised that thin samples exposed to low-frequency electric field heating can have a considerably higher mobility and reactivity than samples exposed to standard heating, even if they are at the exact same sample temperature. They also found that at frequencies exceeding several megahertz and for samples thicker than one millimetre, the type of heating used does not have a significant impact on the level of molecular mobility and reactivity, which is mainly dependent on the sample temperature. In effect, the configurational temperatures will only be marginally higher than the real measurable temperature. Previous studies were mostly fundamental in nature and did not establish a connection between microwaves and mobile phone heating effects. These findings imply that for heating with microwave or cell phone radiation operating in the gigahertz frequency range, no other effect than a temperature increase should be expected. Since the results are based on averaged temperatures, future work will be required to quantify local overheating, which can, for example, occur in biological tissue subjected to a microwave field, and better assess the risks linked to using both microwaves and mobile phones.